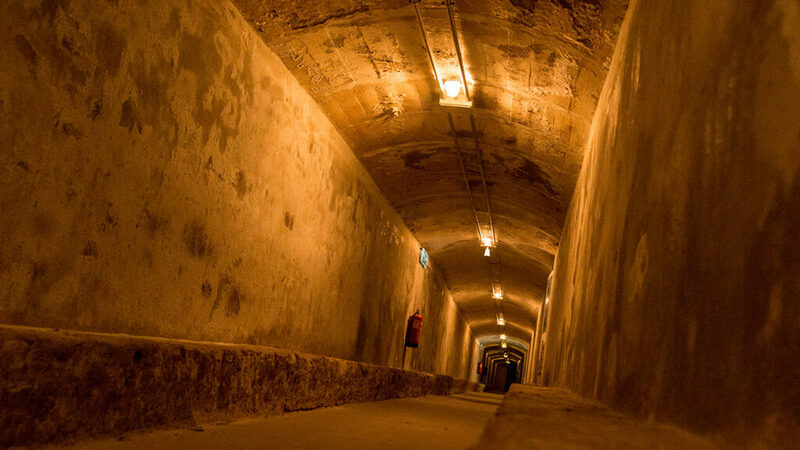 They are composed of the underground galleries designed by architect Guillermo Langle Rubio, 9 m. deep to safeguard human lives in the bombing occurred in the city during the Spanish Civil War. Of the 4.5 km. . Designed by architect it has recovered almost 1 km, which coincides with the main artery: the Paseo de Almeria. It has the appeal of owning recreated spaces: storage pantry, shelter Guillermo Langle and the operating room, with all instruments of the time. They designed shelters that began in 1936, but construction in February 1937 and ended in 1938. Construction rehabilitated by the city of Almeria and has become present in larger losrefugios Europe open to the public. The tours are guided and you need to make an appointmen. The Spanish Civil War (1936-1939) profoundly marked the history of the whole country, and although not directly Almería lived the war (it was the last city government of the Second Republic), the town suffered the effects of attacks from the air and from sea: 52 bombing that pursued military, strategic and even civilian targets. Of all the highlights bombings of May 31, 1937 by the German squad, with a balance of 40 dead, 150 injured and 200 buildings destroyed. In this context of war, Almeria citizens decide to undertake the construction of underground shelters and cooperate actively in its implementation to protect the pumps in case of alarm. Almeria became a real “Guernica”, but unfortunately without any further political or historical rehabilitation. 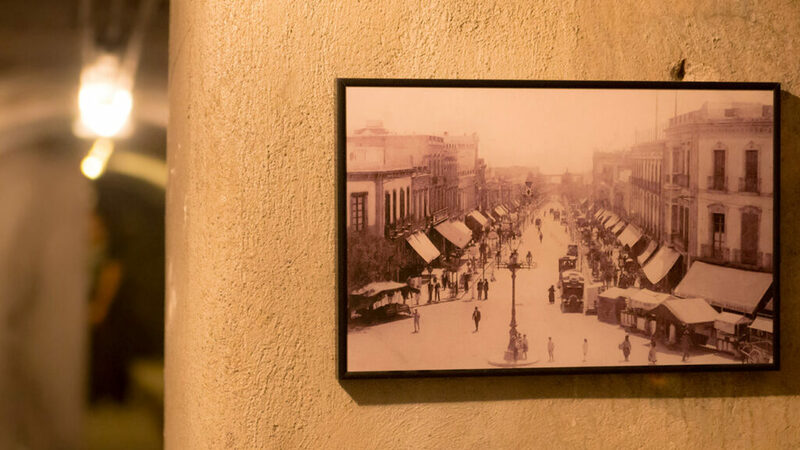 From October 1936 until the spring of 1938, the municipal architect Guillermo Langle, the engineer José Fornieles channels and mining engineer Carlos Fernandez directed the construction of 4.5 km. 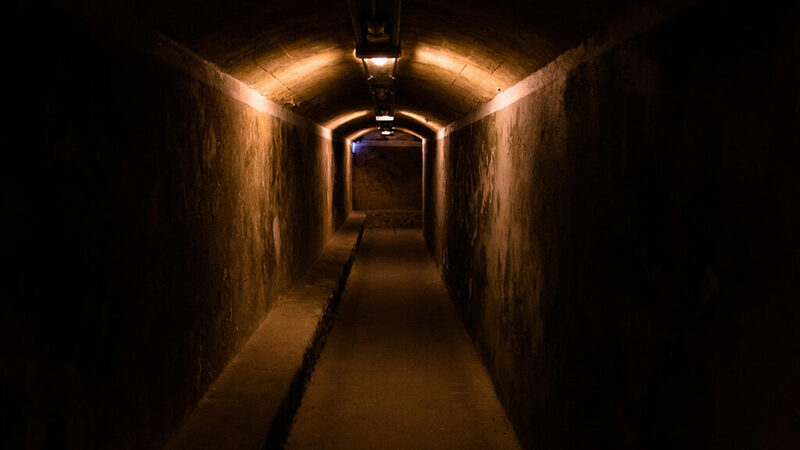 of underground galleries to 9 meters deep with 67 hits to house 34,144 people (at that time the population was about 50,000 Almería). The rest of almerienses took shelter in natural shelters deposits Iron Ore Mining Company Andalusian and caves of La Chanca. Langle thought of everything. In ventilation tubes uralita 100 mm in diameter located adjacent to the mouths and resist launching hand grenades; in placing incoming and outgoing to avoid avalanches and, in turn, make screen if from exploding grenades; two copper wires to feed the bulbs that lit shelters; in a food pantry that you stored if necessary; and even installing an operating room to treat the injured. Once the war ends, the mouths of access are blinded with a series of rationalists kiosks, designed by Guillermo Langle, which become part of the street furniture in the city. Even today we can see some of them in the Plaza Urrutia, Plaza Conde Ofalia and Plaza Virgen del Mar, although the latter quite reformed. The shelters are not again used, but the galleries have continued sleeping, crossing, as a backbone, the city of Almeria.